To respond to the Do Now U, you can comment below or post your response on Twitter. Just be sure to include #DoNowUOrganic and @KQEDedspace in your posts. Over the past couple of years, there has been increased demand for and increased sales of organic foods as the general public has become more educated about how our food is grown and produced. The term “organic,” as it refers to food, means that fruits, vegetables and grains have not been treated with pesticides or synthetic fertilizers, and the animals that produce meat, eggs, and dairy have not been treated with antibiotics or growth hormones. Studies have been able to demonstrate that organically grown produce may have more nutritional value than produce that was conventionally grown, but consumers still have questions about how much of a difference organic foods make to our overall health and if it’s worth the higher prices. The average price for a gallon of organic milk is $4.30 compared to $3.82 for a gallon of conventional milk, and a pound of organic beef costs about $6.75 when the price for conventional beef is around $3.95 per pound. One may question the benefits of investing in this organic trend and if it is worth the increased costs, especially when on a budget. Proponents of organic foods point to several different benefits, including a higher concentration of antioxidants, better taste and supporting overall health. Organic food may have increased levels of nutrients because it was produced without synthetic fertilizers, pesticides or genetic modification. One study found that concentrations of antioxidants were anywhere from 18 to 68 percent higher in organically grown crops. Many consumers also say that organic produce tastes better. The argument against organic food has four main points: cost, productivity, time and skill, and spoilage. The organic certification process is very lengthy and expensive, and the USDA has strict labeling requirements. And, because a smaller amount of organic food can be grown per acre of land, many farmers cannot justify the spending. The process of organic farming is more labor-intensive, and the products have a significantly shorter shelf-life because they don’t contain preservatives. Studies also show that, despite popular belief, organic farming does allow a limited amount of chemicals to be used, and organic food may be no safer or nutritious than conventional food. So what do you think? Is purchasing and consuming organic food worth the price you pay for it? Do you buy organic food? Why or why not? This website presents the legal definition of “organic” in the United States, benefits for farmers and consumers, and discusses USDA’s support of organic food production. This study compared 100 products from a variety of grocers to determine the difference in costs between organic and non-organic foods. Data tables are included in the article. A new study has found that organic production may mean more key nutrients in foods, including omega-3 fatty acids, but there are still skeptics as to the real health benefits. Learn about the terminology that appears on organic food labels. This post was written by Abigail Jones, Alex Hickey, Anthony Arcodia, Chandler Eckert, Emily Daffron, Mallory Reaves, Paige Simms, Sarah Rogers, Trisha Stocker and Victoria Mosby, students at Lipscomb University. Organic food used to be called FOOD. Since they started poisoning food, it should be called POISON FOOD. Organic food should be called FOOD. When I looked at the draft of 6355 dollars, I have faith that brother of my friend was like really generating cash in his free time with his PC..il His aunt’s neighbor has done this for only 11 months and by now repaid the loan on their home and bought a new Car. Except when it’s produced in a lab using chemical baths or irradiation, as in organic food whose seeds are created through mutagenesis. Look it up. You aren’t safe eating anything, so maybe nuts and berries and tree bark would be safe. Or Chipotle’s, if you want some good ole organic food poisoning. No. Organic food is not worth the price. I think it’s over hyped and over promoted. In practice, many people take a mixed approach to gardening, starting seeds in peat pellets or potting mix (often organic), subsequently transferring to soil or larger containers. Sometimes they propagate cuttings from pot to pot, row to row, whatever. they usually use some sort of fertilizer and pest control at some point. how else to save their crops? There is an increasingly common belief that all natural supplements are organic. Not so. Organic chemistry is carbon chemistry. Some of these supplements are not carbon based, but they are found in various minerals and in plant tissues, naturally. How organic is that? I for one believe pyrethrins should not be allowed in organic farming. Sure, they’re natural, being derived from flowers. But they’re deadly. You mean to say that you’re not aware of the sheer toxicity of pyrethrins? You make a really great point. Organic food does get a lot of hype and labeling something as organic automatically makes people believe that all the natural ingredients that are used are healthy. And the price that you have to pay to get these possibly deadly ingredients is probably not worth it. However, I wonder which is worse, organic food that may use some unhealthy natural ingredients, or non-organic food enhanced with “fake” ingredients. The benefits are for all life on the Planet not the individual. But organic farming requires more land and more fuel. Pro-GMO activist, sure. But I’m certainly not a spokesperson because that implies that I’m being paid. I am not. Also, you failed to mention that I am also a pro-organic activist. HAHAHA – Monsanto and thier ilk pays you every time you LIE to a judge and jury. Does it count if I’m paid in hookers, beer and hot rods? Oh no! How did you find out? I agree that the benefits truly affect all life on earth, but what abut the affordability? I am a college student, and I personally try to buy as much organic food as I can on my budget but sometimes I just cant cough up the money. I am aware of the benefits of picking up organic chicken but it is hard to justify the long-term detriments of the cheaper option of meat that isn’t organic. This is also hard to follow when you are on a meal-plan provided by the school. Until I can get a $1 organic salad with ease like I can get a $1 burger at any fast food restaurant, I don’t think the cost is worth it for many college students because its not affordable. I do agree with you however, maybe when I get a consistent, and well paying job I will switch my semi-organic grocery list to full blown organic. Sadly, almost half of all organic food sold in America tests positive for prohibited pesticides… HALF. And three-quarters of our USDA certified-organic food is imported from countries like China. Why pay more for that? 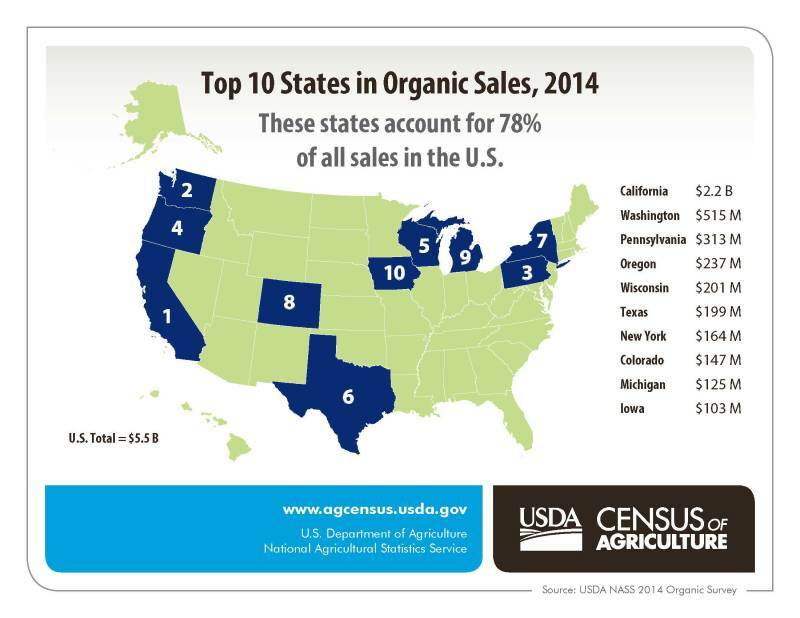 The USDA studies have shown that 96% of organic food meets or exceeds USDA organic standards. Compare that to the fact that conventional and GMO foods are 100% contaminated with one or more toxic pesticides. USDA organic standards apply in the field. The USDA study you refer to was conducted on end-product, which allowed ample time for residues to dissipate. Still, a whopping 43% of the samples came back positive. Abysmal. Most of the samples were on imported organic products certified under the USDA’s National Organic Program. American farmers are hurt the most by this. The end product is what people eat, Misha. Your claims are pure nonsense. Then why are organic inspections always performed in the field? There’s no such thing as a post-harvest organic farm inspection. And if you had the least-bit understanding of organic farming, you’d already know that. I grew up on an organic grain farm in Saskatchewan, and worked for five years as a USDA-contract organic inspector. I think you’re hurting for some new material! But there is a trap that many people unknowingly fall into. After buying expensive organic produce, they cook it in unfiltered tap water. It seems to be healthy, but is unfortunately full of contaminants from the water. Please know that cooking with contaminated water does not destroy chemical contaminants. And unfiltered tap water can have a wide variety of toxic chemical contaminants, both regulated and unregulated. The solution is to get a NSF-certified reverse osmosis filter installed under the kitchen sink for high purity drinking and cooking water (such filters are available at costco etc). Such filters are fairly reasonably priced (about $200-300), and annual maintenance is less than $100. These filters broadly take out all types of contaminants from the water. However they take out good minerals as well, so it is best to add healthy mineral electrolytes (like calcium and magnesium) back into the purified water for drinking, by using a product such as emdrops (electrolyte mineral drops). This is great advice! Personally, I don’t tend to buy organic and my college apartment definitely doesn’t have a water filter. However, if someone is going to make the investment to buy organic it doesn’t make sense to potentially put some of the things they were avoiding in the first place back into their food by using unfiltered water. Also, for those that can’t afford all organic but they still want the benefits, there really is nothing to say that you have to be all or nothing. A mix that fits your finances and beliefs is perfectly acceptable. I’ve been there with the “mainstream”, used to drink unfiltered tap water, and used to buy the least expensive produce. I’ve always been a healthy eater, eat mostly vegetarian, fairly active, and non-smoker…. and guess what, I still developed chronic thyroid issues. This forced me to look extensively into the food and water I was consuming. After switching to RO-filtered and mineralized water, and eating (mostly) organic foods, my thyroid condition has been getting better… even the doctor was surprised, since he had told me to expect the “inevitable,” that my condition would get worse over time. Here is something that most people know intuitively, but somehow fail to take into consideration when making buying choices…. we don’t get most types of disease overnight, we get them over time. When we are young and healthy, we can eat the worst kinds of foods and still feel fine. The damage occurs over time…. most people start noticing the effects of poor hydration and eating habits in their 30s and 40s, and usually it gets worse from there on — many are never able to regain the health they could have enjoyed by making better choices in their younger years. P.S. Here is a fact from CDC.gov : More than 50% of U.S. adults over 21 have at least one chronic disease, and most seniors have more than one chronic disease. Eating organically grown food and drinking purified water with good minerals is not a fad… Millions of people are desperate to improve their health, and many of them are finding that taking such steps with their food and water makes them feel better over time… this is a key reason why the organic movement has been steadily growing. It may feel more expensive at the checkout counter, but is probably less expensive over time, when we take doctor and hospital bills into account. I think it’s irresponsible to say that organic foods are not more nutritious. I believe there is clear evidence that the levels of trace minerals — the sort of stuff our body needs, though in small quantities, but which are lacking in most conventional soils — are much more robust in organic soils. Also, there are *plenty* of studies showing that a positive feeling during eating makes for better digestion and better nutrient assimilation. What better way to provide a positive dining experience than to feel good about the good we’re doing for the planet for once! I agree with you that organic foods are probably more nutritious given that they do not contain the extra chemicals that could be toxic and linked to disease. However, I think what this post was getting at was that some packaged foods are also labeled as “organic,” and those foods may not necessarily be healthy. For example, a chocolate chip cookie is not definitely not the most healthy thing you could eat. But even if all the ingredients that are used to create that cookie are organic, that does not mean that the cookie is magically nutritious. It is better to eat whole fruits and vegetables and sweets in moderation, but I believe this post is trying to spark a debate on the pros and cons of buying already healthy food (such as fruits and vegetables) that is organic. We live in a state of mind where we want only what is best for ourselves and our children. 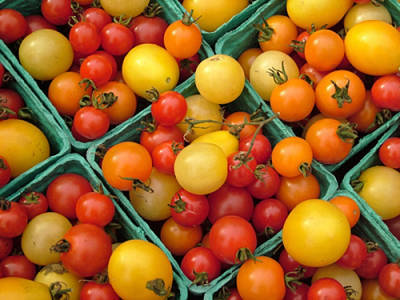 The newest fad that seems to be hitting the market on a large scale is organic food. As this market is allowing for nearly a $35 million retail market for growers, it is becoming more imperative that farmers align their ideals with that of the consumers. The first thing to know about organics is what they really are. In a video produced by Epipheo, titled, What is Organic Food?, they describe all of the different things that a producer must follow in order to have their products be considered organic by the USDA, United States Department of Agriculture. They stated that the three main things that makes an item organic is how it was created, prepared, or raised. These range from having no GMO’s in the ingredients, no use of chemicals, the use of natural pesticides and not chemicals, and no radiation to kill bacteria. As we are focusing huge on the farm to table idea, it is important that if you are looking for these types of food, you look locally as it will be more efficient in gathering these unharmed food items. The biggest issue that most producers have is how are their profit margins going to be met if they are wasting more of their money on the crops that have been damaged by bugs or the weather, something that could have been prevented if they had used GMO’s or other chemicals. We as consumers generally only see the product on the shelf, not everything that goes into it. There have been strict standards for consumers to be considered an official organic producer. According to the USDA, providing organic food not only benefits the consumer, but also the farms and businesses. The way it becomes efficient is if the farm has mastered how to properly grow their products by meeting the needs of the ever changing environment. This is a task that takes time and the correct climate. Where we once were producing bananas, we might not be able to produce organic bananas in the same place. Serving our loved ones organic foods offer great health and lifestyle benefits. Using no chemicals and GMO’s make us feel and act better. The other side of the spectrum that consumers are missing is the sustainability piece of our food systems. The reason we have developed these types of chemicals and genetically modified products are because they allow for companies to waste less money on food that would normally not last as long and have to be thrown away. Over the course of the next generation, farming will need to be looked at more closely. By the year 2025 there will be over nine billion people on this planet and at our current rate of production that is not nearly enough to feed everyone. We need to weigh our costs associated with producing organic food. There are definitely great benefits to eating organic, but is the cost of the future really going to make it affordable for the present? Organic food is absolutely worth the price. With all of the synthetic pesticides that go into today’s foods, especially the fruits and vegetables, it can sometimes be dangerous and much less healthier than with true pesticides and fertilization. “Organic doesn’t necessarily mean healthy or nutritious, it means that it is created, raised, or treated in an organic way, without the use of synthetic pesticides, manure, and other such fertilizing techniques” (Sencer 1). In my opinion, you actually are eating healthier when ti comes to consuming organic foods. You aren’t eating more nutritious, but in my opinion, healthier means better for you, and less pesticides on the growing foods and less “fake” products being used to help grow or maintain the health of a food is a much healthier pathway. You aren’t being exposed to those chemicals that were made out of deadly substances, and then combined with other substances that equalized it out to make it “un-harmful” to your body. The more natural the food is grown, the better it is for you. Things that come from the earth are a much better option than 100% manufactured and processed goods. “For instance, organic crops had about 50 percent more anthocyanins and flavonols compared with conventional crops. Anthocyanins are compounds that give fruits and vegetables, such as blueberries, their blue, purple and red hues. Consumption of these compounds is linked to a variety of benefits, including anti-inflammatory effects. Flavonol compounds — found widely in fruits and vegetables — have also been shown to protect cells from damage, which can help fend off disease” (Aubrey 1). Not only does the food look more colorful and more appetizing, but it will be better for you. I personally eat a lot of organic food, and I think that it also tastes better. This is just my personal opinion and it also depends what organic companies you are buying from, but I think if everyone compared the taste of normal food to organic food, the majority of people would agree that organic food overall tastes better. The reason companies put so many pesticides and other un-natural substances is so that food will last longer in the refrigerator, so that the companies will make more money off of their products, and it costs less to get those types of pesticides, leading to an even more increased profit for the company. Also the company doesn’t have to tend to those types of crops nearly as much as organic crops. “We compared more than 100 product pairings in all. On average, organic foods were 47 percent more expensive, but the range was huge. In a couple of instances, the organic product was actually cheaper, by as much as 13 percent for honey at Amazon Fresh” (Marks 2). Organic food does on average cost quite a bit more, but you will just have to weigh your opportunity cost about such foods. When I get a full time job after college, I plan on buying mainly organic foods to stay healthy and active at my old ages. “Organic agriculture produces products using methods that preserve the environment and avoid most synthetic materials, such as pesticides and antibiotics (USDA 1). This is the point that I want to close this paper on. Organic means the way that foods are grown, not the ingredients in them. It is much healthier to eat foods that are grown more naturally, even though there is a higher price for them, because you will live a better, healthier, longer, and more prosperous life than eating regular processed foods. bone, brain, thyroid, colon, liver, lung, etc, and other serious health issues. effects such as nausea and headaches. It is a good idea to buy organic for your kids. more expensive (for good reason too). Generally speaking,organic food isn’t worth the price. Health benefits are more about balance of types of foods as the video (and my class’s post #DoNowUDiet) suggests. However, there is validity to buying organic at times, like when purchasing from a local vegetable shop instead of the chain grocery store. The benefits there are more about supporting your local community and small businesses than actual health differences though. Personally, I support the consumption on organically labelled products. I also agree with some of the supporting comments of organic products, the affects of genetically modified produce harms the environment. However, I am very much aware of the problem of produce sustainability with organic farming. With increased population densities across the globe, organic farming just doesn’t have the capacity to feed the millions of mouths not only in the U.S., but around the world. The issue for organic produce consumers is the price, which I struggle with as well. My grocery bill increases on average of $20-$50 more if I buy mostly organic. This simply isn’t affordable for my other college classmates. We, in America, with the large abundance of food resources receive plenty of nutrition and vitamins in our food (modified or not). Although I support organic produce and small organic farming companies, I realize that this is more so a preference in a demand driven economy that simply can not sustain itself without genetically modified food. I say, continue buying organic produce, if you can afford it. Mischa Popoff is an uneducated individual working with heartland institute to promote GMO. Here’s the USDA report he claims backs his random assertions. Uneducated? We can’t all be engineers like you claim to be. Speaking of which, are you an engineer for an oil company or the United States Navy? And why have you claimed both occupations? Hey… you’re not lying are you? No, unlike you, I never lie. I’m an engineer, and my skills are relatively portable to many industries. I’ve also worked with telecoms, mass production, and a few other industries. It doesn’t mater where you might’ve worked in the past. You clearly claimed to CURRENTLY work in the oil industry, and a few days later on another blog you said you CURRENTLY work for the Navy. This plus your fake identity leads to only one place Mr. Oilman. You’re a fraud. I don’t believe the organic foods are as beneficial as they claim it to be, it sounds like a way the industries are making more money. I feel that organic products take longer to be taken care of to be sold at stores and there’s not much of differenced on it being nutritious. I am a full-time college student and a mom. I buy as much organic as we can afford. I keep up with the Dirty Dozen and Clean 15 lists to help with the decision process. I also consider if we will be eating the skin of the fruit/vegetable. For example, I forgo organic bananas since they are not on the Dirty Dozen and we peel the thick skin to eat the meat of the fruit. But, I make a point to buy items on the Dirty Dozen list like berries, apples, bell peppers, lettuces, and cucumbers organic (and yes, they do taste better!). I also buy organic free range eggs. The yolks have that awesome dark yellow/almost orange color to them meaning they have more nutrients and protein (and taste so much better!). This time of the year is great because you have so many farmer’s markets which can be a great way to score affordable organic produce and support local farmers. I also participate in a CSA that helps tremendously with costs. While organic foods are in a increased demand, many still are skeptic when it comes to their health. There is a common misconception that “organic foods are more healthy,” however that is not the case. Their absence of other harmful chemicals just means that they contain no food additives. In my opinion it is not worth it. I have nothing against those who eat organic foods however the fact still remains that to the average middle class or poorer household organic food is too expensive to be practical and the observable health benefits are marginal. organic fruits are pricey but certainly worthy. I don’t think the benefits of organic foods are worth the price because they’re not really that significant. Also, organic foods aren’t much healthier or nutritional than inorganic foods, so spending more money on them isn’t logical. I don’t buy them because they’re too expensive. The question is what are GMOs really doing to us? As of now, scientists do not know the health detriments of these chemicals or whether there are any. Ideally, humans should only eat organic, but it is hard to afford the price especially when the products have the same nutritional value. As of now, organic produce is not worth the cost. Organic foods are not worth the price, but people can do whatever they want it’s their life. But I am not spending more money on one thing when there is the same exact thing for a cheaper price. Also organic food doesn’t taste as good as non organic, so I would rather buy something tastier despite whatever consequences there might be. I’m here for a good time not for a long time. In my opinion, purchasing organic foods is worth the cost because you can ensure you are not putting GMOs into your body. The benefits of buying organic food affects all life on earth. No I don’t think we should buy organic food because organic food spoils really fast but it is because we don’t put any pesticides in them. However I believe organic food can be healthier because they isn’t any chemicals in them. The minor benefits of organic food don’t make these foods worth their prices because their shelf life is much shorter than non organic foods. It shouldn’t be this difficult and expensive to eat healthy. Besides, how are high school students expected to eat organically? I don’t and won’t buy organic food because of that point: it is way too expensive and way too difficult to maintain an organic diet. Today’s society has changed extremely. Our nation has the largest percentage of obese people in the world. The new trend for organic food comes with a cost and a pretty big one. I think that there is a much easier reason to be healthy, grow your own food. If you are not able to grow your own food to stay gain the benefits of organic food, work out. There are many ways to stay healthy and not eat organic food. In addition, you can freeze fruit and other things. I believe that organic food is worth the price to some extent. We buy organic bananas and other fruits because we finish them super quickly almost all of the time. My mom also always has time to replace the food because she doesn’t work so she doesn’t really have anything else to do. Organic food spoils really fast, and for the time that it takes to spoil and the overall price of the food, it really isn’t worth it. If I can buy enough food for a week for less money and it won’t spoil as fast then I’m gonna buy it. I believe that organic foods are overpriced. Yes, organic foods may be beneficial for health reasons however people should just choose food options that are more healthy. Other methods include growing your own garden and foods to eat. I do not buy organic labeled foods because I have an extremely large family therefore we would not be able to afford it. However there are some instances when I eat organic bananas. I believe that organic foods are not worth the price, although they say that they are organic, it doesn’t mean that pesticides and chemicals weren’t used in the process of production. Organic food expires fast and has to be bought in smaller portions, unless consumed very fast. It is more expensive and we do not yet know the effects the GMO’s have on our body. Organic foods to me are not worth the price. They may be to some people as they believe that GMO is harmful but that is for them to decide. Until organic food are close to the same price as non organic they will not be worth it. What do organic foods actually do for us? As of now, GMO chemicals are not affecting us in terms of health, which is why the FDA has yet to reject it. It is not worth the extra cost of organic foods. There many other ways to stay healthy even if you eat GMO foods. Plus, they are cheaper and the flavor is intensified. Organic food is supposedly free of pesticides and chemicals, but they tend to spoil faster, which is large downside as it’s not like you are able to use all the ingredients you buy during one shopping trip in a day. Most people tend to shop for grocery for a whole week and it’s not like we have time to go to the store every single day to buy stuff to cook.